Pastor Lee Harris at Hemming Park, in front of Marco Rubio's Hogan Street office, Tuesday. As the U.S. Senate debates the merits of a sweeping tax code overhaul, a group of Jacksonville clergy is urging Florida’s senators to vote it down later this week. 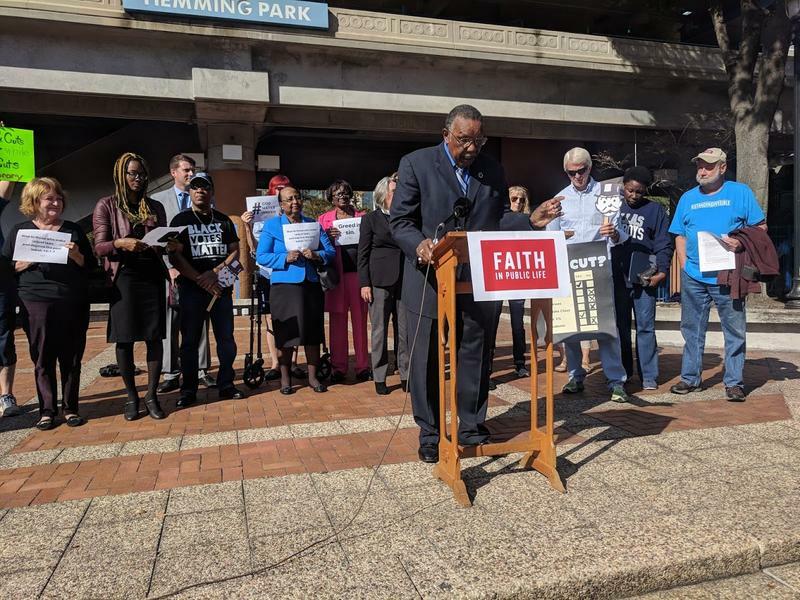 Depending on what side of the political aisle you fall on, you may either consider a budget a statement of priorities or one of reality, but for a coalition of religious leaders in Jacksonville, the document is a profoundly moral one. In Hemming Park Tuesday, in front of Republican Sen. Marco Rubio’s Hogan Street office, Pastor Lee Harris of the Mt. Olive Primitive Baptist Church compared the GOP-led tax plan to some of the worst moral failings in U.S. history. Harris and his cohorts justified their claims using the nonpartisan Congressional Budget Office’s analysis of the tax plan. The CBO found the combination of tax cuts and repeal of the Affordable Care Act’s insurance penalties would not only increase the deficit by more than a $1 trillion, it would also hurt the country’s middle and lower income populations, while benefiting the wealthy. Florida’s Democratic Sen. Bill Nelson has already expressed his opposition to the tax plan. The full Senate is likely to vote on the bill later this week. Calls to Sen. Rubio’s office were not returned before airtime. This story will be updated should additional comments be made available. 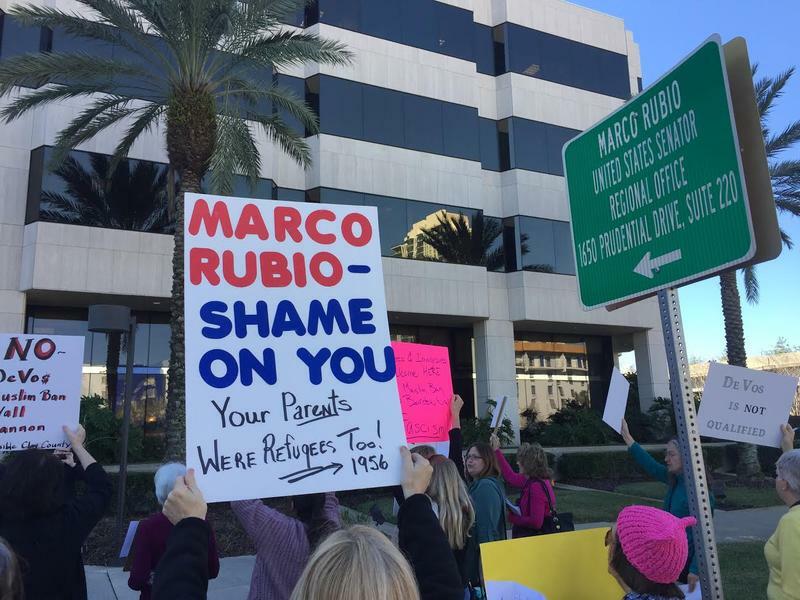 Republican Florida Senator Marco Rubio is getting pushback from some Jacksonville voters for what they say is weak opposition to President Donald Trump.